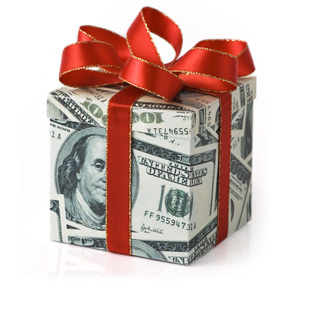 Overwhelmed by the length of your holiday shopping list and the amount of cash you’ll need to complete it this year? You’re not alone. A recent study found that 39% of Americans feel pressured to spend more than they can afford during the holiday season. That’s no wonder, with the average U.S. adult planning to drop $830 on Christmas gifts this year, and 30% of people planning to spend upwards of $1,000, according to a November poll. To help you make the most of every gift-giving dollar, we’ve asked shopping experts for their smartest strategies. We will explore how to score deals and outsmart retailers at their own tricks. Here are many ways to save during this years shopping season. One of the easiest ways to save is to avoid impulse buys. Start by making a gift list, then comparison-shop . You can also use price tracking tools to see the highest and lowest prices an item is currently selling for. That way you know whether to whip out the card now or wait till closer to Christmas. Want something that’s still too pricey for your budget? Use the web to set up email alerts that will notify you when the price drops. Once you know the lowest price an item is selling for, ask your local merchant to match it. Most stores will price-match with their direct competitors. You can even compare prices while you’re out shopping by using mobile apps like Price Grabber or Shop Savvy. Plenty of websites will give you cash back for shopping at certain retailers as long as you enter the shop’s site through them first. You’ll typically get between 1% and 5% of the purchase back, though sometimes retailers will run specials that bump that figure up to 20%. You may have access to a similar deal through your credit cards. Discover’s Discover Deals program, for example, includes several retailers who offer between 5% and 15% cash back when you click through Discover’s site to the retailer. As with the sites above, these offers are on top of your usual credit card rewards. It can be well worth the spam to sign up. Major retailers offer special loyalty coupons and early sale access to frequent customers. Just keep in mind that come-ons for 40% off clothing or housewares could cause you to ramp up spending even as you hunt for bargains. Avoid the temptation by keeping these emails in a separate folder that you check only when you actually need something.